I live in the Center of an Old New England town. 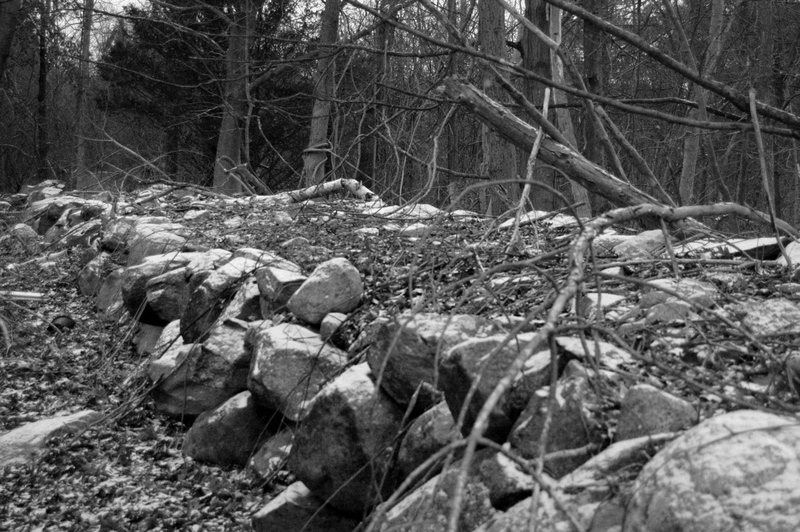 The wide stone walls that used to mark property lines or separate fields from farmhouses still stand in this part of town. This wall still marks a border and delineates our property on nearly 2 sides. Unlike the more roughly made stone walls that ran through property my parents owned in New Hampshire, this wall is massive – several feet wide in most places and about shoulder height. On our side of the wall, the stones appear stacked with randomness, yet in the hundred or so years since the wall was built, they have stood strong. But on the other side – the side that faces an abandoned clearing of what used to be the estate for one of the town’s more upright citizens, the wall is precisely assembled so that it forms a sheer wall of stone, carefully pieced together. I like to hang out back near our wall. It is quiet there, through now overgrown with bittersweet vines, wild roses, and other herbage that was never purposely planted. I wonder at the strength and the purposefulness of the builder of this wall. assembled long before machinery would have lessened the load.